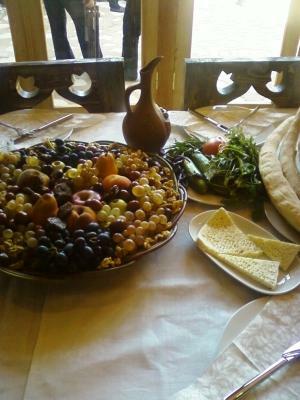 Wine tour in Kakheti Georgia – is one of the oldest wine producing regions of the world. The fertile valleys of the South Caucasus, which Georgia straddles, are believed by many archaeologists to be the source of the world's first cultivated grapevines and neolithic wine production, over 8,000 years ago. Due to the many millennia of wine in Georgian history, the traditions of its viticulture are entwined and inseparable with the country's national identity. Wine plays a central role in the famous process of Georgian hospitality, and stands as a symbol of friendship. Among the best-known regions of Georgia where wine is produced is Kakheti.